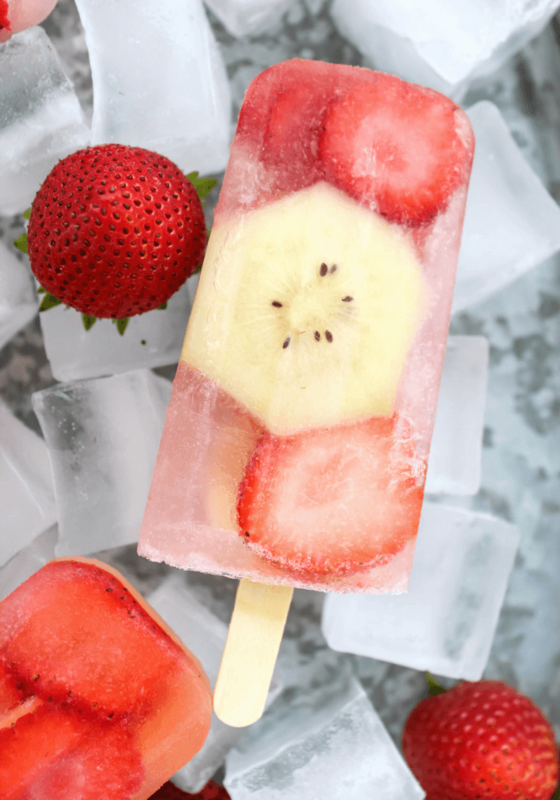 Spiked Kiwi Strawberry Sparkling Ice Pops are made with vodka soaked strawberries and kiwis filled in a popsicle mold with Sparkling Ice Strawberry Kiwi and a bit more vodka for an adult ice pop guaranteed to cool you off this summer. Looking for something non alcoholic? 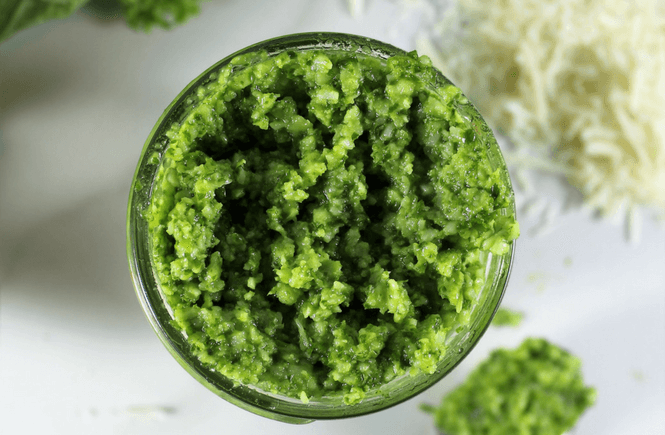 Follow the recipe and leave out the vodka! These Spiked Kiwi Strawberry Sparkling Ice Pops come from inspiration of a vodka spritzer which happens to be one of my favorite summer cocktails because they are so refreshing and lower calorie. 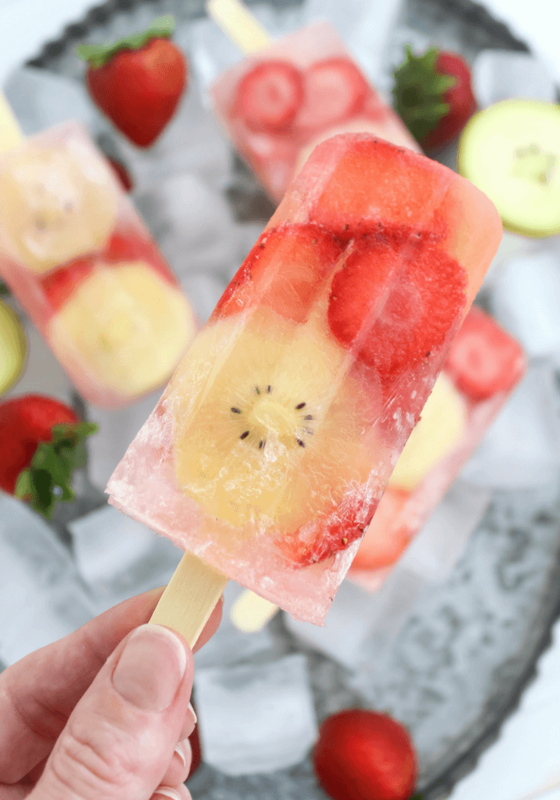 This July heat has me in serious need of a cool off so the popsicle form really hits the spot and I think you will enjoy them just as much as I do! I turn to Sparkling Ice to help make amazing, guilt free vodka spritzers, these Spiked Kiwi Strawberry Sparkling Ice Pops or to simply toss in my beach bag while laying out by the pool to stay hydrated. The bubbly always rise to the top. 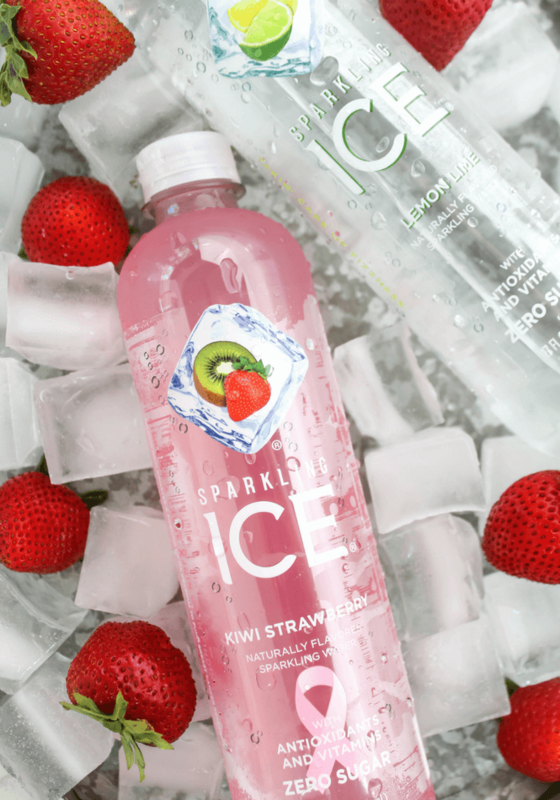 Find all 16 fruity sparkling water flavors from Sparking Ice on Amazon. Switch up your summer cocktail and spiked popsicles by trying all the flavors and incorporating various fruits. Sparkling Ice Lemon Lime with blackberries? Maybe Sparkling Ice Peach Nectarine with local peaches? This summer is going to be deliciously refreshing. Recipe time! Spiked Kiwi Strawberry Sparkling Ice Pops are seriously fun and perfect for a pool party with friends or just as treat on a crazy hot summer day. Sparkling Ice Kiwi Strawberry (you may swap for one of the other 15 Sparkling Ice flavors). Popsicle molds set of 10. Place the sliced fruit into vodka. Make sure to soak the fruit in a glass container for 2 hours. Stay away from plastic containers while soaking. This is an optional step to soak the fruit for a higher alcohol content. Place the soaked fruit into the popsicle mold. Save the vodka for next step. Use 3 ounces of vodka and 12 ounces of Sparkling Ice Kiwi Strawberry and mix in a bowl. The ratio has to be right for the ice pops to freeze properly so if you add extra vodka- you may not get an ice pop. Make sure to measure everything for this step. Also, look at alcohol content of the vodka. I used 80 proof! A higher alcohol content needs a lower freezing temperature so you would have to either adjust your freezer or use less vodka. Place the sticks into ice pops and freeze for at least 4 hours. Remove the ice pops from molds. I just set them on the container for a few minutes and then gently wiggle the sticks until it is released. Time to enjoy your spiked ice pop and have a sparkling summer. Check out the recipe card below for full instructions and ingredients. 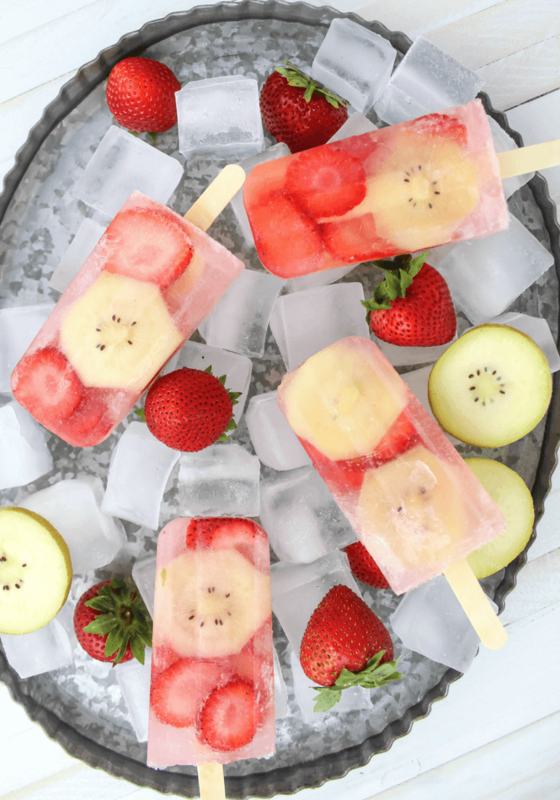 Spiked Kiwi Strawberry Sparkling Ice Pops are made vodka soaked strawberries and kiwis filled in a popsicle mold with Sparkling Ice Strawberry Kiwi and a bit more vodka for an adult ice pop guaranteed to cool you off this summer. Recipe for readers 21 or older. Soak fruit in vodka for 2 hours. 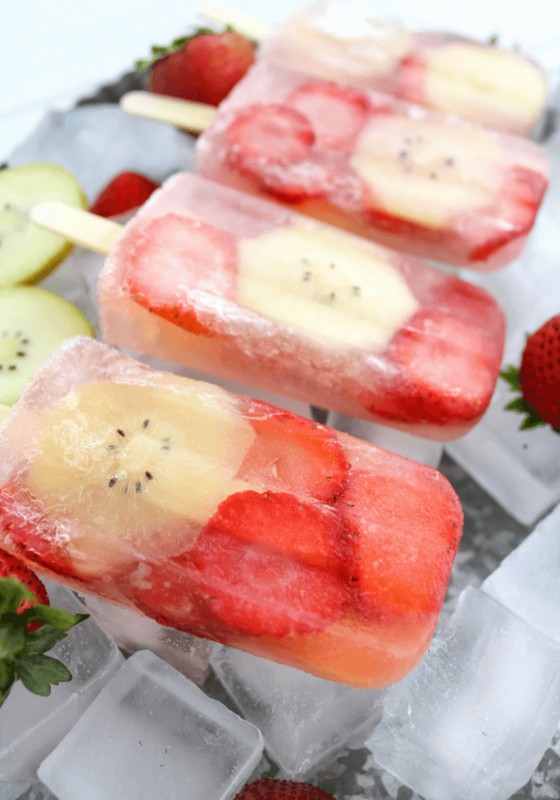 Place the soaked fruit into popsicle molds. Distribute the fruit evenly among the molds. Mix 3 ounces of the leftover vodka with 12 ounces of Sparkling Ice Kiwi Strawberry. Place popsicle sticks in center of each mold. Freeze for a minimum of 4 hours. 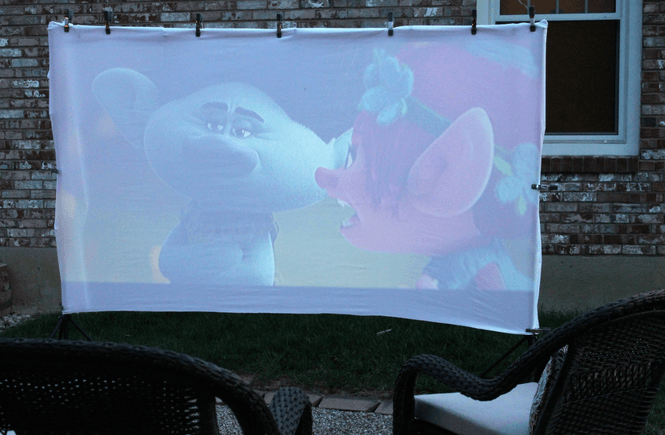 How are you keeping cool all summer long? Let me know in the comments below and share your favorite Sparkling Ice flavor. Oh! I just ordered some popsicle molds and I can’t wait to try them out! That;s awesome. 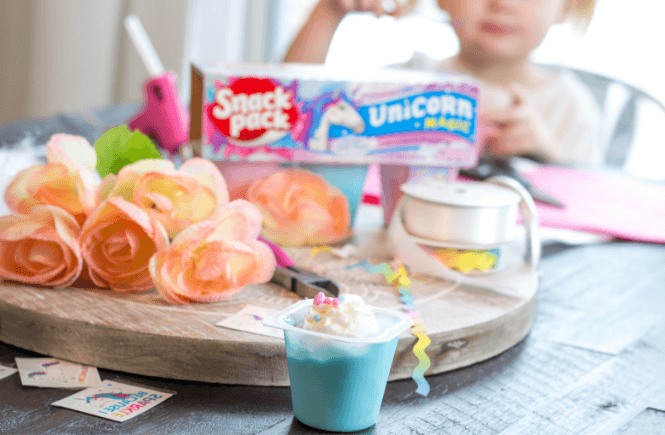 So many great things you can do with popsicle molds. What a tasty treat! 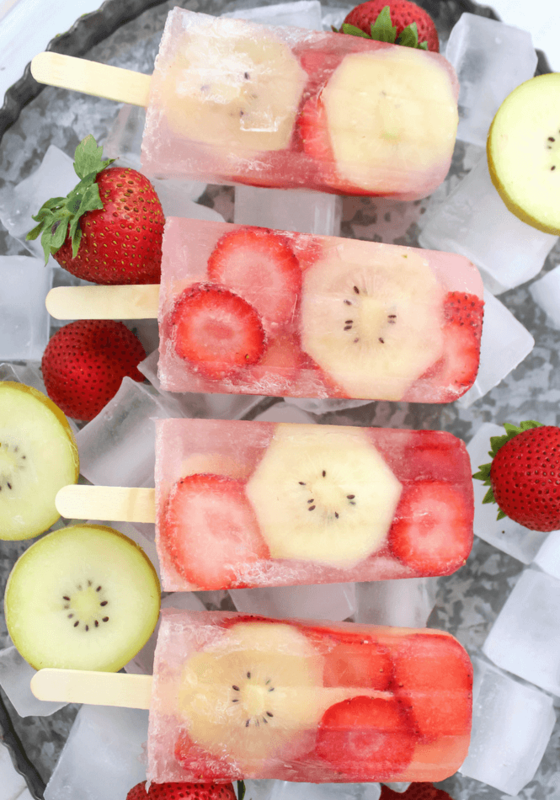 I Love Sparkling Ice drinks so I know I’d love these popsicles too! 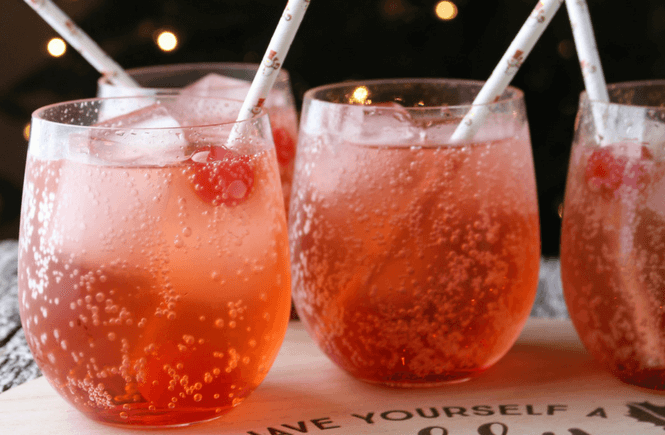 I love the Sparkling Ice too and these are so delicious and pull out all those flavors you love in your Sparkling Ice. Wow ! I never imagined this would be a thing. What a great use of vodka 😀 Love it. I’m going to do this , this weekend for sure. 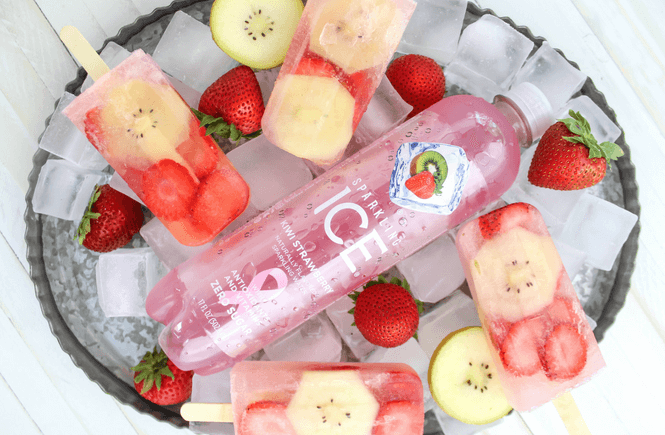 Would be so refreshing on a summer day. Wow! 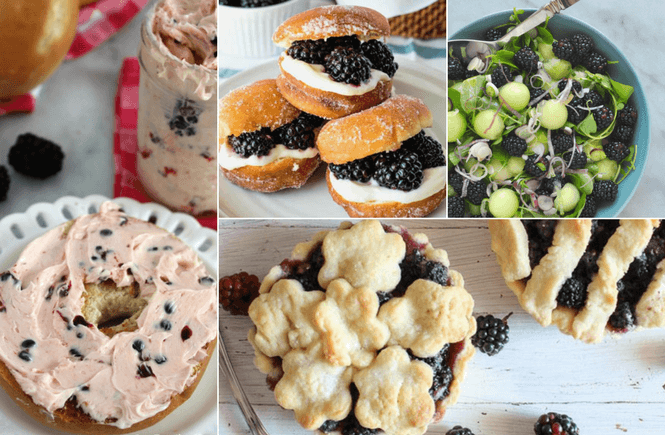 Looking delicious! I would like to make it home by following your recipe. Thanks for sharing!